If you have ugly, bulging varicose veins that cause you pain and leave you self-conscious of your appearance, you may benefit from a treatment known as sclerotherapy. 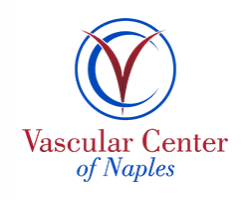 At Vascular Center of Naples in Naples, Florida, Dr. Russell Becker offers sclerotherapy treatments to reduce the appearance of spider veins and varicose veins. This injection treatment also successfully relieves the discomfort and pain of damaged veins, and it offers long-term results. To learn more about the benefits of sclerotherapy, schedule an appointment online or by phone. Sclerotherapy is a treatment for varicose and spider veins using a medicine that Dr. Becker injects into the damaged veins. This medicine turns the vein into scar tissue, and your blood flow moves to a healthier vein. Over time, the old vein collapses and your body absorbs it, causing it to eventually disappear. It can take several months for this process to happen, but you will enjoy healthier-looking, vein-free legs within several weeks of treatment. 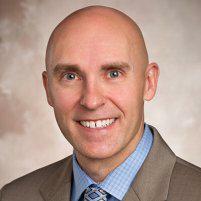 Dr. Becker uses Varithena®, an injectable foam, for sclerotherapy treatments. The foam displaces the blood in your veins to cause their collapse. Why do I need sclerotherapy? You may be a good candidate for sclerotherapy if you want to improve the look of your legs and eliminate varicose and spider veins. Dr. Becker can determine if you’re a good candidate for sclerotherapy during your initial consultation. What can I expect during the sclerotherapy? Depending on which veins require treatment, Dr. Becker may use ultrasound imaging to view the veins in your legs during the injection. During the procedure, you lie comfortably on an exam table with your legs elevated. Dr. Becker injects the solution into the affected veins. You may experience temporary stinging or cramping during the insertion of the needle. Once the treatment is complete, Dr. Becker applies compression bandages and massages the treatment area to work the solution through your vein. You can go home following treatment with minor limitations, such as avoiding strenuous exercise for a few weeks. You should also avoid sunlight exposure, as it can cause dark spots on the skin. It is beneficial to walk around as much as possible to keep blood flowing. Dr. Becker provides you with additional aftercare instructions, and you should see results within six weeks of treatment. Depending on the severity of your varicose veins, Dr. Becker may need to administer more than one treatment to achieve your desired results. He can schedule additional injections 4-6 weeks after your treatment to ensure the veins successfully collapse. To find out if sclerotherapy can decrease the visibility of your bulging veins, schedule an appointment online or by phone.